You must make reservations at least 5 minutes in advance of the time at Joe Allen. 46th St. between 8th Ave. & 9th Ave. Although we have no affiliation, there is a parking lot across the street from us on 46th. Located within walking distance from all trains at Times Square. 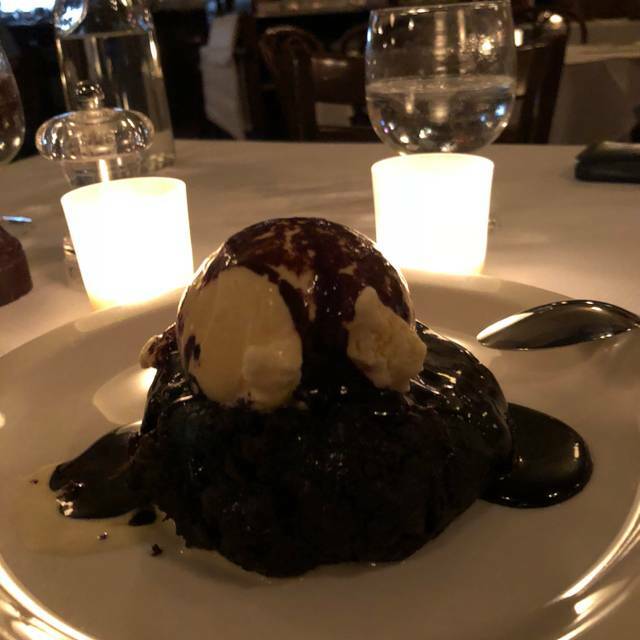 Since 1965, Joe Allen has been a quintessential New York restaurant serving a classic American menu in the heart of the Theater District. Just two blocks from Times Square, it has been a favorite of Broadway performers, locals, and tourists for almost 50 years. Please note that we begin taking reservations 7 days in advance. Parties of 6 or more should call the restaurant directly. Due to the high volume of reservations we receive for pre- and post-theater, we can only guarantee a table for a maximum of two hours. If you would like more time, please contact the restaurant directly to make your reservation. Brut Champagne, Laurent-Perrier, France, N.V.
Great! 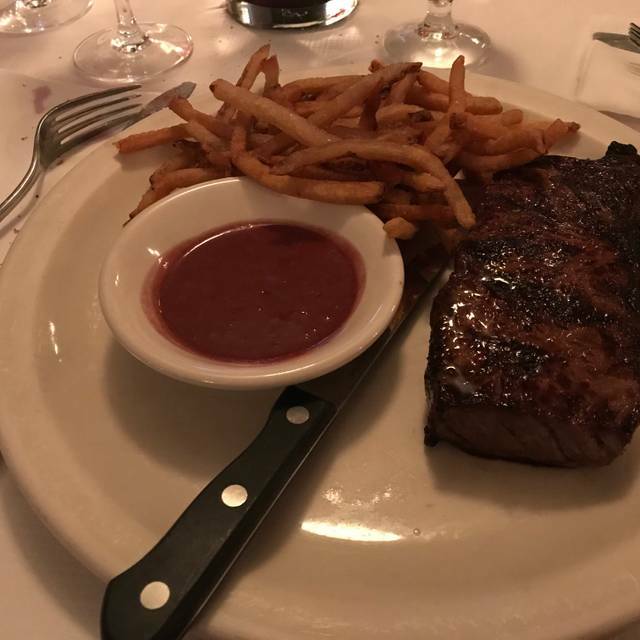 The steak is the best. Everything was as good as ever and the dining room was very quiet. We were served on time and had no reason to rush to our theater performance. Food consistently good. Great place for Saturday Brunch. From the moment you walk in the door it is a welcoming atmosphere. Our waiter Sylar was delightful. We were on a visit to New York to see theater and our daughter who lives here. 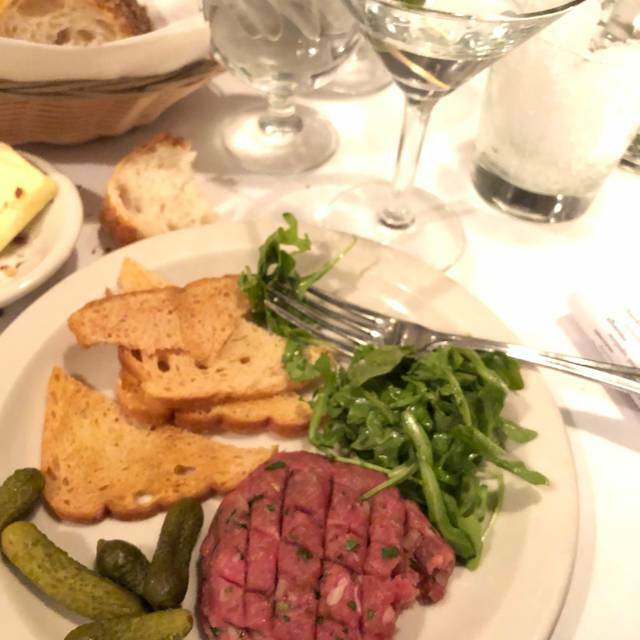 Joe Allen is always our favorite stop for dinner before the theater, and this dinner was no exception. There were five of us. Our table was ready when we arrived, we ordered right away and never felt rushed in the popular pre-theater restaurant. Food was excellent. The guacamole and chips are always a fab starter. Our server was funny and fun, totally matching our excitement for the evening. Joe Allen is hip, creative, offering a varying menu across the seasons and never disappoints. Great service from the time we walked in until the time we walked out. Wonderful maitre’d and outstanding server. Had to order some guacamole to ‘liven it up’...same with Caesar salad...could have got better salads at a diner... good service though. Pre-theatre dinner, good food, nice atmosphere. Excellent service. Fabulous time at Joe Allen for a Sunday dinner after a matinee. Excellent, thoughtful service. Delicious food. Thank you for being there for me and my family all these years. I only go to Joe Allen when I'm doing theatre in the Big Apple! My experiences with Joe Allen have always been the best. The staff is most efficient, and very friendly. I know the food will be good, and it is. One of my favorite restaurants in NYC! Joe Allen is a perennial Fave. They were very accommodating when we asked to switch tables, and in general the service is warm and welcome. Great spot for theater and late-night. Food was delicious.Ambiance was great. Service was spectacular. Visit with daughter. Great place to dine near theaters. Tasty, people pleasing food, fun, friendly ambience and good service. Not fine dining but great choice for reliable menu with something for everybody. And can't beat the location. Theater-land classic. Relaxed affordable and open late. Perfectly good comfort food. Food comes out a little too fast!! Food is good, not great. Had the meatloaf which I thought was good but wouldn’t get it again. My wife had the lamb sausage which she said was very good. It’s a solid place to visit when seeing a show but there are much better places for dinner. Great environment. Food mediocre and the menu is small. They must cater to the theater crowds because we felt a bit rushed. Always good to go to Joe Allen after the theatre. There’s no rush and the ambiance is fine. One of the last and best theatre hangouts where we can bring out of town theatre folks to talk business, without interruption. Joe Allen provided the perfect setting to catch up with old friends. The noise level was low, the service was attentive but not intrusive. 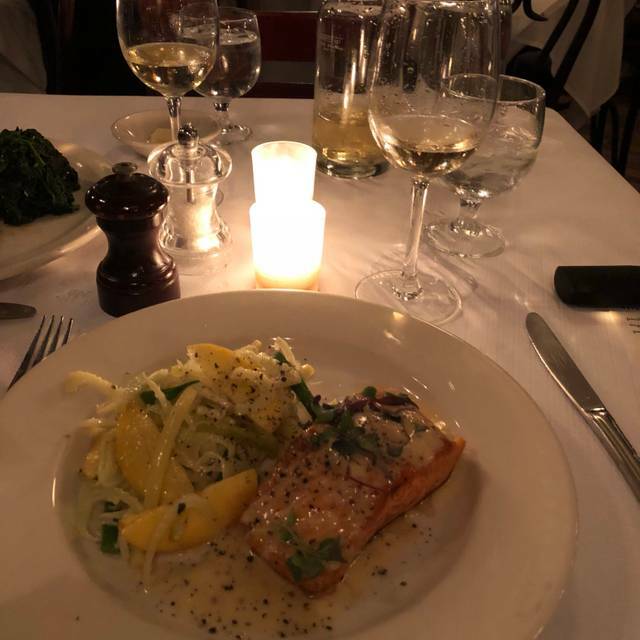 We loved the whole roast cauliflower to share as an appetizer and the pan seared trout was outstanding. Joe Allen is one of our go to places when we visit NY. 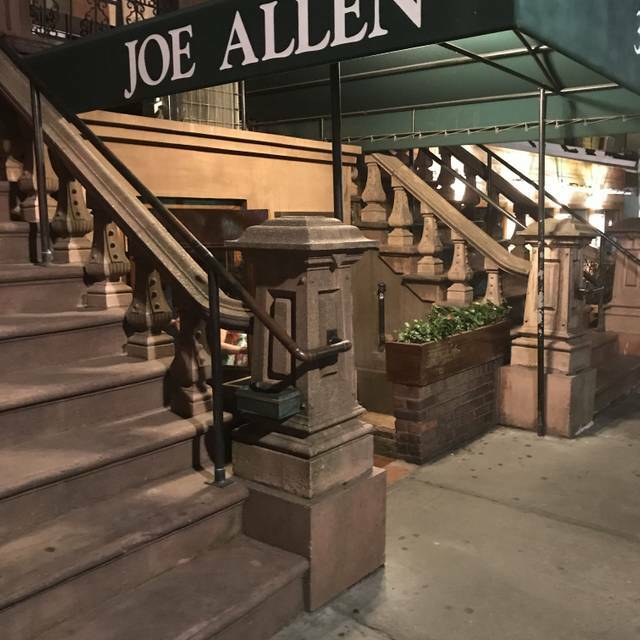 Joe Allen is my favorite restaurant in New York City! This place is rich in theatrical history plus it has truly great food and an amazing staff. I have been a regular there for over 50 years and it's just as wonderful now as ever! 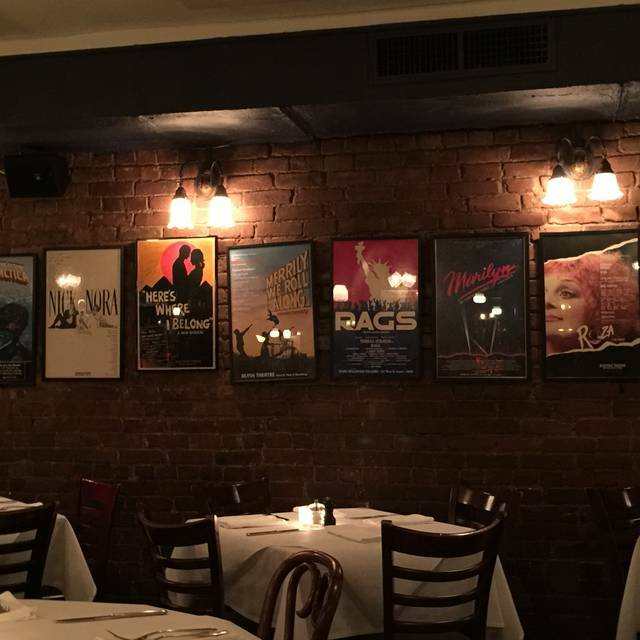 This is an excellent place to relax and enjoy a good meal before or after a Broadway show. One of my favorite after theatre places. After Theater. Nice location and food. A great theater restaurant. We came for pre-Theater brunch. I ordered the eggs benedict. Hollandaise sauce was excellent. My companion ordered the hamburger. Cooked to order and delicious. The staff was very cognizant of our theater tickets, making sure we would be on time, but if n no way rushing us out. Love ya he vintage theater posters on the wall !! A great meal and experience. Always a fun place for a late night dinner after a show. They welcome you like an old friend and the service is attentive. The food is reasonably priced for the location and experience. I’ve eaten at Joe Allen many times over the years. It never disappoints. This was with some friends from out of town after a great Broadway show. Great, friendly service. Delicious food. Lovely, warm, fun atmosphere. What more could you ask for!?!? Joe Allen's is the best! 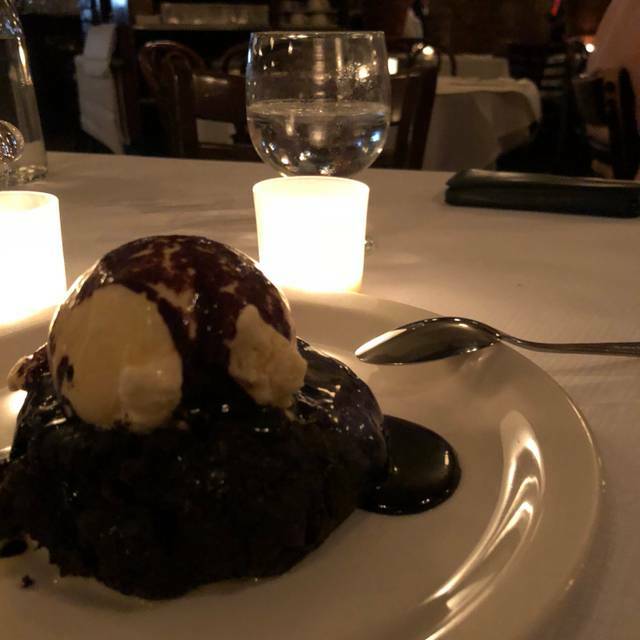 The comfort food, friendly staff and show biz ambience brings out family back whenever we are in NYC. We love the beauty of the restaurant with its brick walls and wood trim. Even though it was pre-theater (not for us) and the house was packed we were taken on time for our reservation. Wait staff was very personable and efficient. Food was delicious. This is my go-to place when I am in NYC these days. 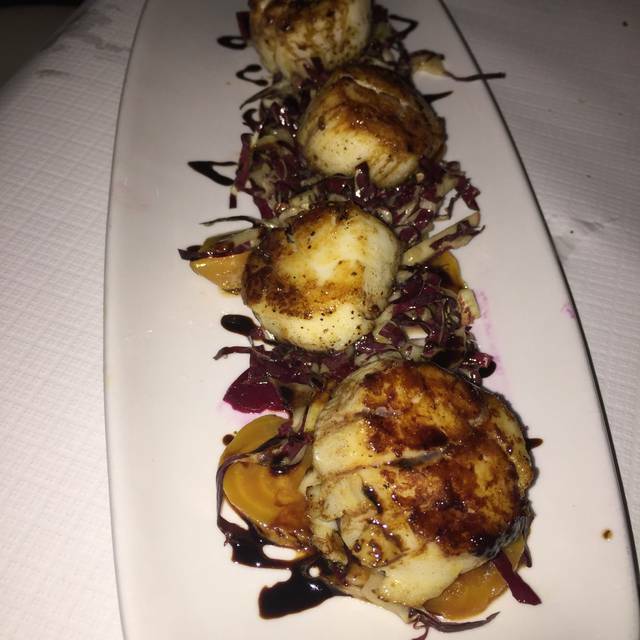 The food is good, but it's the staff and the ambiance that really make the place. Everyone is very friendly, helpful, and fun. And you never know who you'll be seated next to (an array of true stars over the years). I love to have lunches with friends or business meetings here. One caveat: The bar is small, so not a great place for a crowd, but perfect for sitting alone or with one or two others. Good as always. Joe Allen is one of the best places to eat in NYC especially if you’re headed to a matinee. This is our go to place pre-theater. They have it down to a science getting the order, serving and collecting the bill and then off to your show. Always love the burgers. Happy ambiance since the patrons are off to and evening of entertainment. 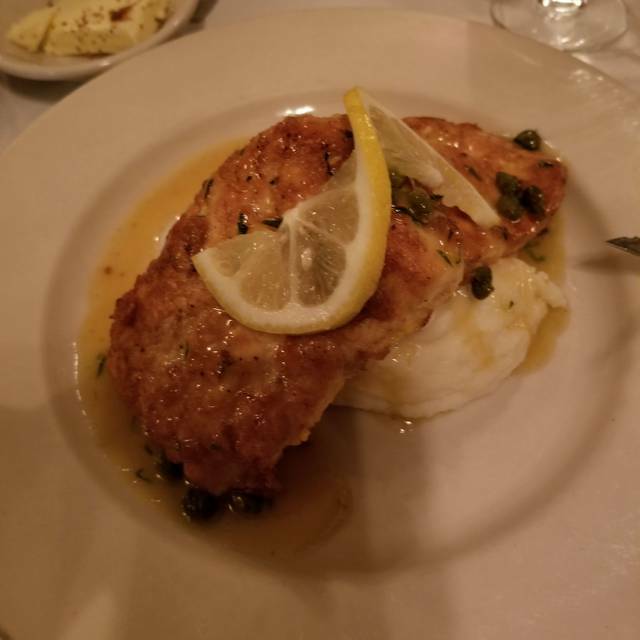 I’ve been dining at Joe Allen for 25+ years. I’m a big fan. However, the food last Sunday was really disappointing. We had brunch and the omelette was tasteless, the potatoes were dry and the salad was wilted. As always, the service was great and I always love the “buzz” in the atmosphere.. but I wouldn’t return for the Sunday brunch.